Association meetings are held quarterly. The current newsletter should have the location and time of the next meeting. 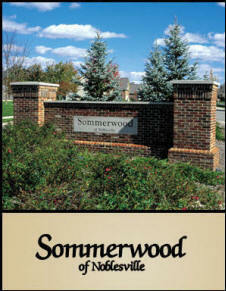 Feel free to e-mail to board at board@sommerwood.com any questions or comments and the board will do their best to answer them as quickly as possible. The Nickel Plate Trail is a proposed 9.2 mile pedestrian trail situated along the Nickel Plate rail running from 96th Street in Fishers to Pleasant Street in Noblesville. The trail's development connects the two communities through the hearts of their downtowns to create recreational and experiential opportunities for residents and visitors to the Hamilton County trail. Please keep in mind that children are often out playing in the streets and yards and may not always look before entering the road. The speed limit is 25Mph and we have been working closely with the Noblesville police department to help ensure it is being obeyed by drivers. You may also want to remind the children about not speaking to strangers and safe places for them to go in case they are approached.